That's right! 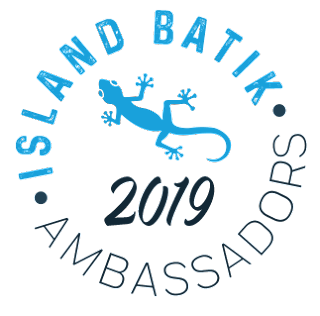 I'm an Island Batik Ambassador! I'm so excited and I can't wait to show you more! Check out my video to see what I've received from Island Batik and their industry partners! Disclaimer: I'm not a professional movie producer and have no idea what I'm doing here! You are definitely going to want to open this to full screen on a laptop (or bigger!) screen. Check out some of the beautiful prints! Thanks to Island Batik, Hobbs Batting, Aurifil, and Accuquilt! Check out Island Batik's latest blog post for a list of this year's ambassadors! Be sure to follow me here, on Facebook, Pinterest, and Instagram, as well as Island Batik on their blog, Facebook, Pinterest, and Instagram for all the latest news, blog hops, and giveaways! Congratulations! Looking forward to seeing what you create with the boxed goodness you received!